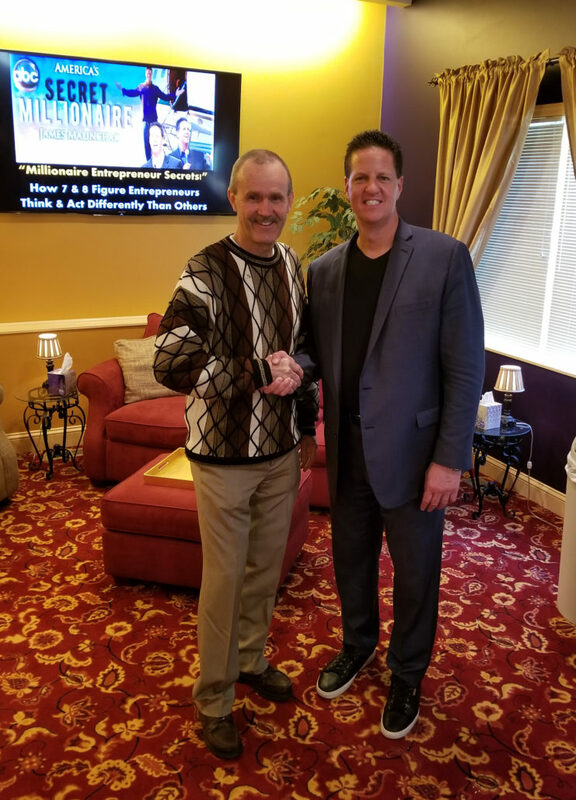 Recently, Les Neilly had the good fortune to attend a half day session where James Malinchak from the ABC TV show America’s Secret Millionaire spoke. James revealed his unique ideas and strategies for attracting more business and massive wealth by using his Millionaire Entrepreneur Secrets®: How 7 & 8-Figure Entrepreneurs Think & Act Differently Than Others™. James is the “behind-the-scenes” go-to marketing consultant for many big name speakers, authors, trainers, coaches, celebrities and sports coaches. He shared his strategies for how you can accelerate your own wealth attraction! He presented many good strategies which I plan to implement over the next few months. There was a VIP reception afterwards where James signed some of his books and took pictures with all the people who paid to have VIP access. It was a great day, and I’m looking forward to be able to see the strategies pay off in increased business.